'Drugs: Breaking the Cycle (HC 184-I)' focuses on breaking the cycle of drug addiction, highlighting the need for improved treatment in prisons and wider society, and calling for early intervention with better education and preventative work. The report calls for the establishment of a Royal Commission into the issue of treatment in prisons. The Committee was disturbed to find that almost a quarter of prisoners found it easy to get drugs in prison, and recommended that measures such as regular random drug tests based on suspicion be increased. There was concern that the Government's policy of recovery was not being implemented and in particular, that rehabilitation in prison was undermined by the lack of support for offenders on release. Concerns are also raised with regards to the goal of retaining addicts in treatment, which has precluded attempts at recovery. Although the Committee supported the Government's objective of recovery it was noted that this will require a range of treatment options, with each individual requiring a tailored treatment plan. Treatment must also be supplemented by housing, training and employment support if required. 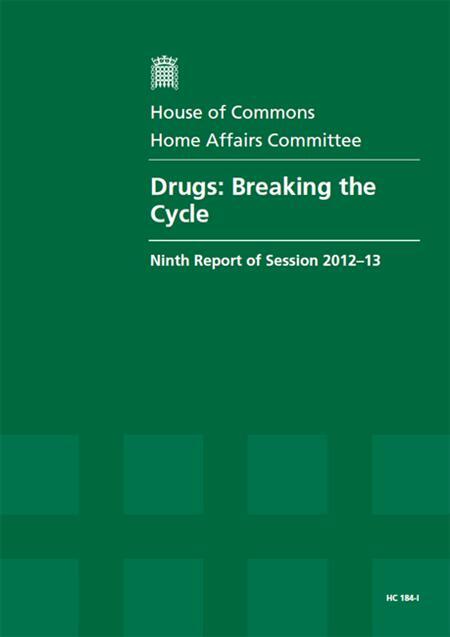 Whilst the Government are commended for a number of steps taken by its 2010 drug strategy, more needs to be done to comprehensively address the drugs problem in the UK.